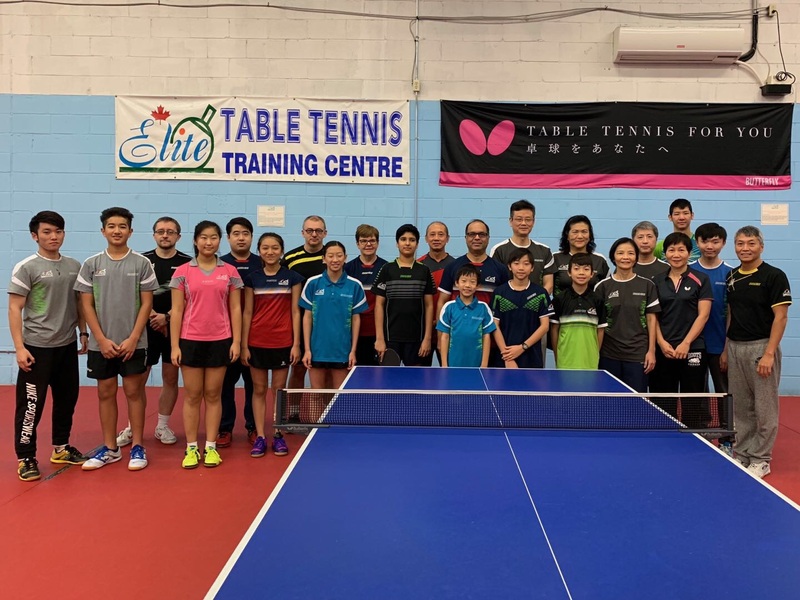 High Performance Table Tennis Training Centre Now Open in Mississauga! David Xu, a star player that’s been training at Elite TTC for a number of years, had just achieved a major milestone. 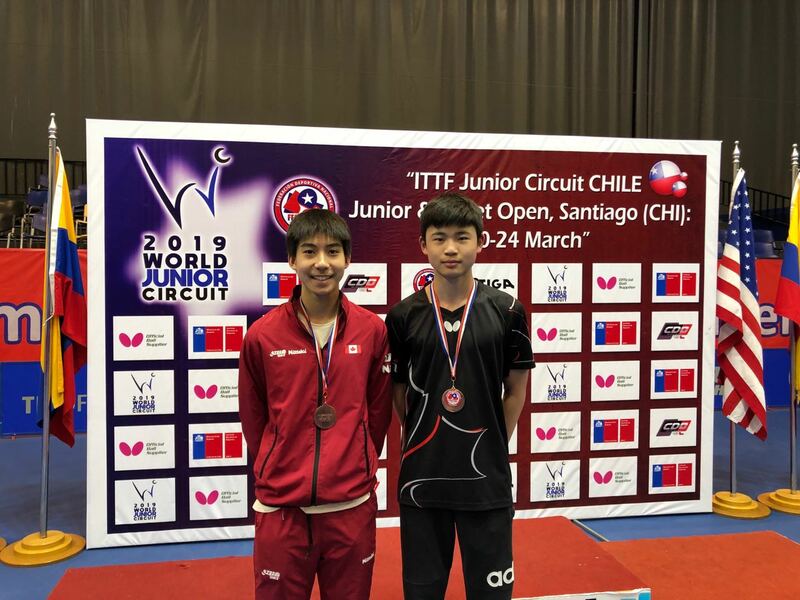 A tremendous breakthrough on the international stage, David Xu with his partner had just won a Junior Boys Doubles Bronze medal at the March 2019 ITTF Chile Junior and Cadet Open at Santiago. To David, this wonderful achievement is a well deserved reward for his many years of hard work, training, self-discipline, and dedication. An amazing feat for sure and with many more to come! Several Elite TTC juniors competed over the weekend of Jan 12 at the Canada Cup #3. The Canada Hopes (U12) was a main event and competition was quite fierce. Still, our juniors managed to garner 3 medals. Jessie Xu won a Girls Silver; Derek Shen a Boys Silver, and the youngest competitor Frederick Zhang at 9 years old won a Bronze. Gold medals were won by USA players. 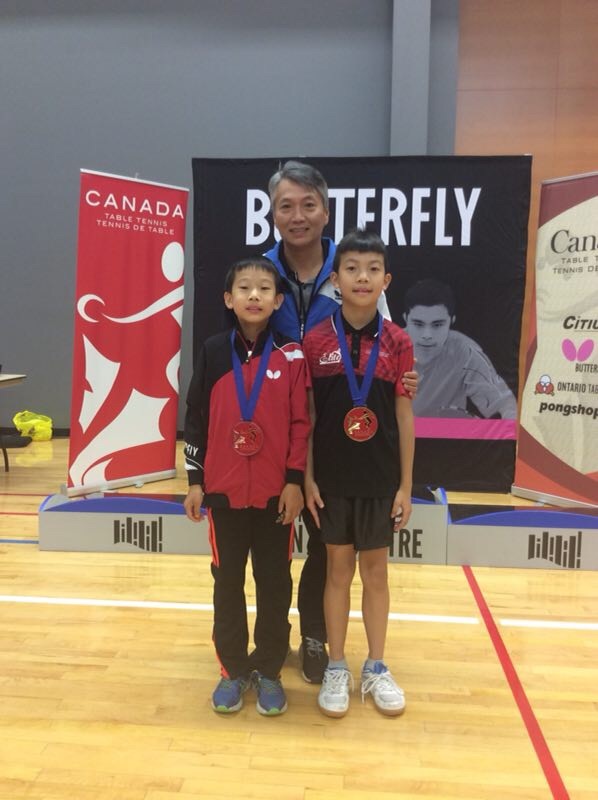 At the U15 grouping, both Kevin Guo (12yrs old) and Jessie Xu (10yrs old) from Elite fought valiant battles and came away with Bronze medals from their respective Boys and Girls group. Congratulations to all our junior competitors! All of us are very impressed with the performances and great showing of our crop of young athletes. They are demonstrating great skills beyond their age to challenge much older players. We look forward to the continued blossoming of these youngsters into star players with a bright athletic future. Keep practicing and keep playing, many rewards are awaiting! 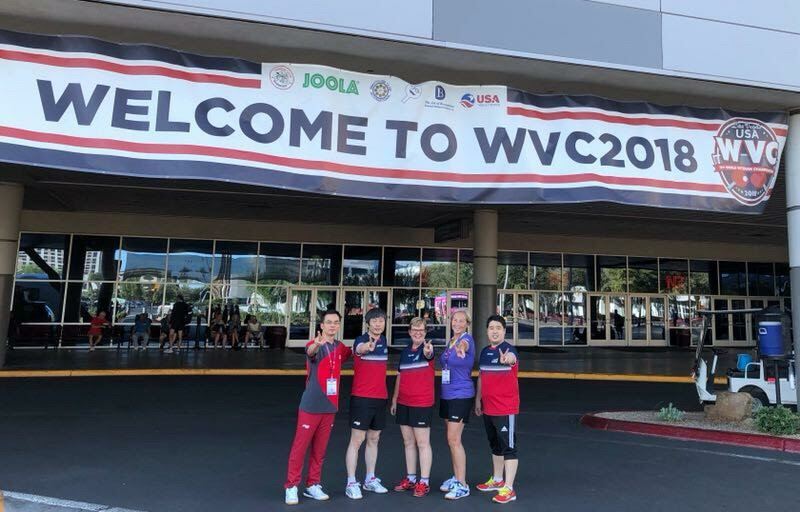 Last month, Elite TTC members Betty Zareba, Willus Dong, David Wu and Tamara Crawford traveled to Las Vegas to compete in the 19th WVC during June 18 – 24. 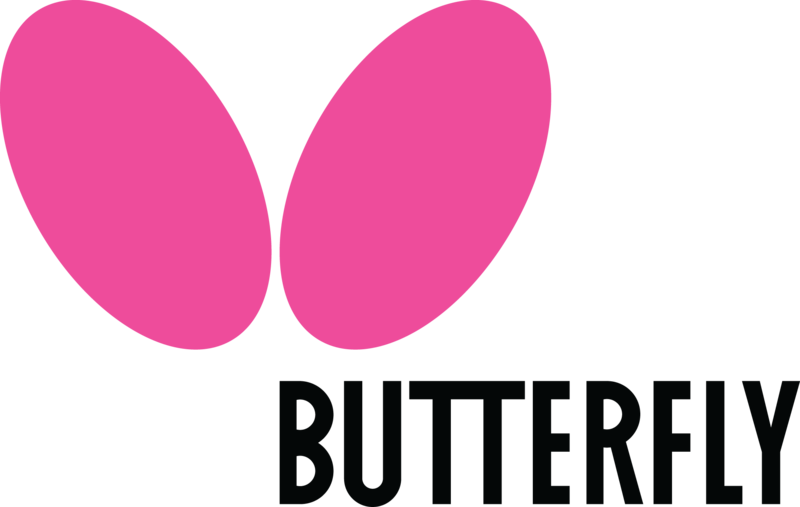 This very popular event takes place every 2 years, with over 4000 participants from around the world. These Elite TTC senior members, just like our younger crop of top players, did quite well at this international event. Betty made the top 32 of Over 55 Women’s Singles and winning the Over 55 Women’s Doubles Consolation. Tamara won the Over 55 Women’s Doubles Consolation Bronze and Willus reached top 64 of Over 40 Men. Tamara Crawford’s sharing of her own story of personal tragedies and recovery in the past decade made it to the headline news at the WVC as well as USATT. We want to commend Tamara for her courage and determination in dealing with all the adversities these past number of years. Stay strong and positive Tamara, you made lots of friends at Elite TTC, and we are very proud of you. In the last day of team competition, Canada’s Women’s Team won a team Bronze medal. The trio of Mo Zhang, Anqi Luo and Alicia Cote put in a great performance in representing Canada. Everyone at Elite TTC is super proud of their achievements. Congratulations! As the 2015 Toronto Pan Am Games is only 17 months away, promotions about the games are being geared up. Our club's Anqi Luo is being featured on the official TO2015 Website. You will also see both Coach Chen and Anqi on their home page. We are launching a 10 visits card that will provide more flexibility and even greater value to our guests. This multi-visit card costs $75 for 10 visits by the card holder within a six months period, and effective starting with the date of purchase. 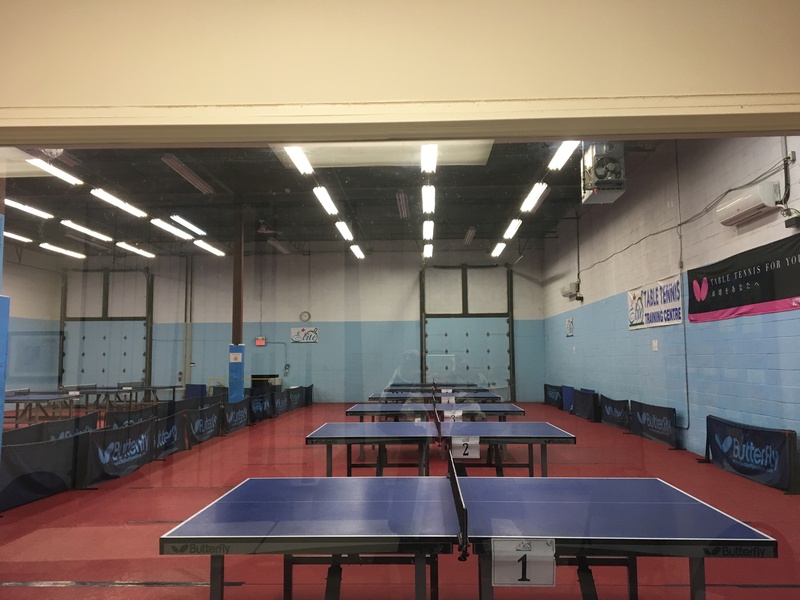 - For your own safety and to minimize damage to the special table tennis flooring, you are required to bring and change into table tennis shoes (preferable) or indoor non-marking sports shoes, before entering the play area. Sports shoes with black outsole are not permitted. - Our Pro Shop carries many table tennis products, such as rackets, rubbers, balls, clothing and shoes by various famous brands. Copyright © 2010 Canadian Elite Table Tennis Training Centre. All rights reserved.